Meanwhile, James Bond, the world’s most famous spy, was more than partial to a “Vodka Martini – shaken, not stirred”. Winston Churchill, Franklin D. Roosevelt, Dean Martin, and the enigmatic Ernest Hemingway (credited with popularising the delicious Mojito) were all well-known sluggers of cocktails that had been carefully crafted by bartenders across the globe. Recently, our television sets have been set ablaze by stylish television series, where the main protagonist is more often than not seen celebrating, commiserating and contemplating life with a cocktail in hand. The dashing Don Draper in Mad Men drinks an Old Fashioned with such grace and sophistication that it’s easy to see why cocktail culture is making a comeback. And judging by the proliferation of new and exciting cocktail bars cropping up, it appears the cocktail is back to stay! The word “cocktail” first appeared in press in an 1806 publication called ‘The Balance and Columbian Repository,’ wherein the editor stated that the “cocktail is a stimulating liquor, composed of spirits of any kind, sugar, water and bitters.” What followed was a rollercoaster of a ride for the cocktail’s fortunes. 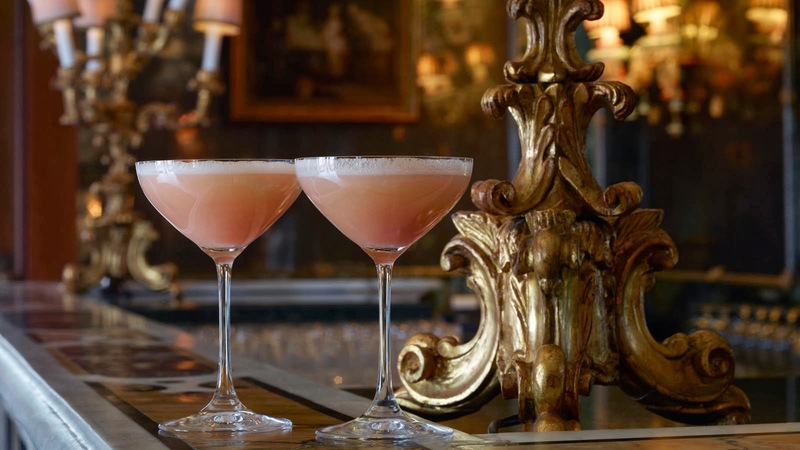 The mid-nineteenth century in America saw the Golden Age of the cocktail after the powers that be relaxed laws, allowing alcohol to be served without the need to have rooms handy (presumably the rooms were set aside for those that overindulged in their favourite tipple…!). The birth of the ‘Bar’ gave rise to many of the cocktails that today still dominate and inspire cocktail lists the world over, including classics such as the Martini, the Manhattan and the Old Fashioned. The bartender became king! The rise of the bartender was halted swiftly after the introduction of Prohibition in America in 1919. Speakeasies, under the watchful eye of mob bosses like Al Capone, became the only place for the American public to satisfy their thirst, and although cocktails remained an important part of the Speakeasies repertoire, the creative nature of bartenders played second fiddle. At this point, most bartenders left the trade to take up more legitimate employment. The art of conjuring up creative concoctions using fresh juices and the classic cocktail structure gave way to pre-mixed recipes and simple mixers being added to spirits. Throughout the 60s and 70s, the ‘unfashionable’ cocktail was forced to take a back seat, and it wasn’t until the late 80s and 90s that cocktails began to find favour again. Whether it was James Bond in the 60s or Don Draper in the noughties that stimulated renewed interest in the cocktail is neither here nor there. What’s certain is that there is a thriving group of exceptionally talented and passionate bartenders across the globe, using traditional and modern techniques to craft some incredible tipples that always tempt and tease you back to order more. Australia has embraced the cocktail culture with as much vigour as anywhere, with the country awash with creative minds mixing up drinks for a thirsty crowd from Perth to Sydney. Specialist cocktail bars are appearing in rural areas and are no longer the preserve of the inner city. Australian Bartenders are strutting their stuff in global competitions and have been greatly impressing judges, with Sydney resident Tim Philips being crowned Diageo Reserve World Class Bartender of the Year in 2012. Now onto the fun part – putting together your own drinks cabinet at home! In preparation for mixing up your favourite classic (and even potentially original) cocktails, it’s important to start with the basics and hit up the seven essential tipples that will help you create your own masterpiece. Ensure the cupboard is well stocked with Gin, Vodka, Whisky, Rum, Tequila, Brandy and Liqueurs. Add a Boston shaker, Hawthorn strainer, a muddler, some bitters and a constant supply of ice, and you’re all set to get your Tom Cruise on and whip up some treats for you and friends to enjoy! If you don’t have all the ingredients in your own drinks cabinet, don’t fret – follow the trend of friends getting together for a new style of cocktail party. Encourage people to bring over a bottle of one of the spirits (or other essential ingredients) missing from your cupboard, and make a night of experimenting with cocktails. After all, the more the merrier, and cocktails, like most drinks, are best shared amongst friends! There is a reason the classics have stood the test of time and are as popular today as they were 130 years ago. They’re both delicious and versatile, they work well as aperitifs and digests, and let’s not forget the air of classy sophistication they lend the drinker! Most classic cocktails are based on one of the seven aforementioned classic spirits. The Martini is still the height of sophistication and is an excellent aperitif. Gin or Vodka in your martini is up to personal preference, and much like choice of spirit, your choice of garnish can stimulate much debate! Martini – the drink that needs no introduction. The Negroni works well at the beginning of a meal and sets the tastebuds up nicely for the food that lies ahead. The Old Fashioned takes time to prepare, should be savoured slowly and goes exceptionally well with a good book and a contemplative mindset. A well-made Mojito can invigorate the senses and conjure up images of the Caribbean (and after all, if it was good enough for Hemmingway, who’s to argue with the Mojito’s track record). A Gin Fizz, served long in a highball-style glass, combines Gin, lemon juice, syrup and soda to perfectly cleanse the palate, and is a perfect tonic to a hot summer afternoon. Wine-based cocktails can be a slightly sprightlier alternative to some of their more serious spirits-based cousins. The French 75 combines Gin (or Brandy), syrup and lemon juice. Once shaken with ice, poured into a chilled flute and topped up with champagne, the French 75 is elegance personified. For guests arriving at your cocktail party, the Bellini, a sumptuous combination of peach puree, Prosecco and peach liqueur, makes a great treat before moving onto Martinis and Manhattans. When in Spain it would be a tragedy not to indulge in a well-made Sangria, which is a wonderful combination of various citrus fruits, vodka, orange curacao, white wine and soda. After a siesta, a jug of Sangria is the perfect way to prepare for your Spanish fiesta later in the evening. Sangria – for when anything else in summer simple won’t do. Whether you prefer Bette Middler’s Manhattan, lean more towards Hemmingway’s Mojitos, or have a particular penchant for a fruity Bellini, cocktails have a remarkable ability to enhance most social occasions, so get mixing. You don’t need to start off throwing bottles in the air, but you’ll look damn good sipping on your Martini the next time you entertain a room full of future cocktail aficionados!